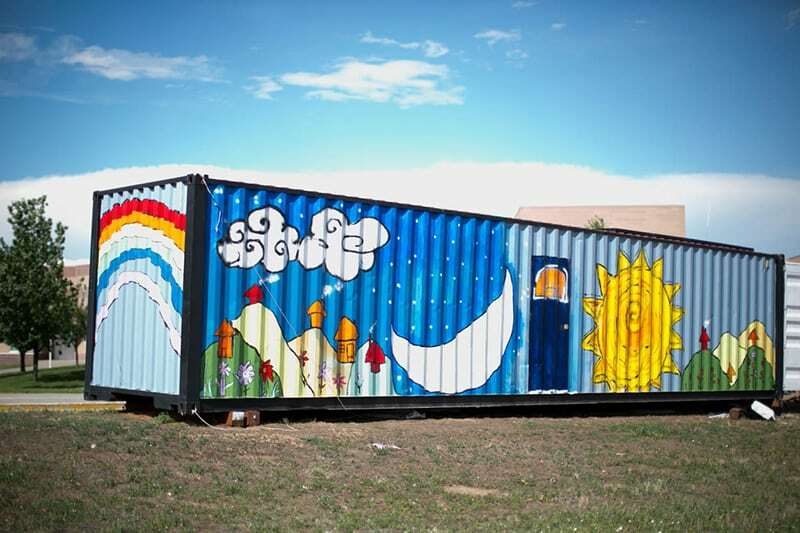 The Monarch students have done such an amazing job transforming the used shipping container into a medical/dental clinic for the Las Palmas community in Mexico City. Let’s show our support for the students and fill this container with Buckets of Love. Using what has become a signature donation, Homes of Living Hope and the Monarch Shazbots First Robotics club from Monarch High School are seeking Buckets of Love to include in the clinic. Conexion Mosaico has provided us a list of educational materials that can be used for the children of the Las Palmas community in Mexico City. This is a great chance to involve your kids in volunteering! Just take a new 5 gallon bucket (the bucket is part of the gift) and fill it with the items from the list. Please include a note in the top with your name and email address so we can send some gratitude your way! When you get it filled, drop it off by the back door of the container which is located in front of Monarch High School (329 Campus Dr, Louisville, CO 80027) in the bus turn around area. The students will make sure the buckets are put inside each night. Monarch Shazbots First Robotics club has set the bar high with all of their hard work; let’s make sure the container is filled to the brim with supplies for each student. Thank you, in advance, for all of your continued support of this amazing educational opportunity, both in Louisville and Mexico City.